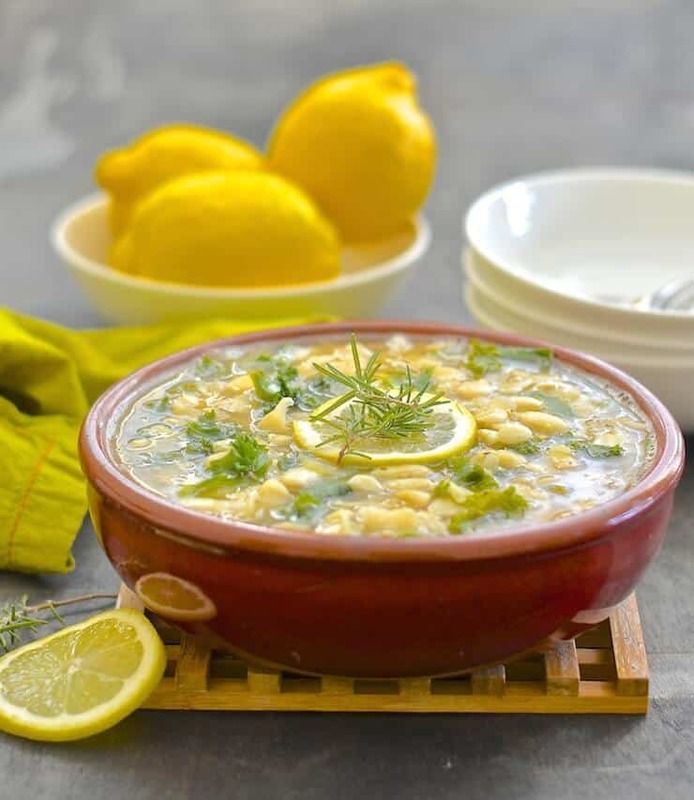 A simple, light & summery white bean stew made with everyday ingredients. Full of fresh lemony, garlicky flavour & ready in under 30 minutes! A lovely reader left a comment on the blog tonight saying that she had made my Raspberry Walnut Squares and they were the best vegan thing she has ever made. 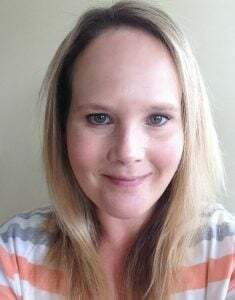 I was understandably happy and told my husband about it. He joked that he’s glad someone’s getting to eat them as he hasn’t had them since they were published on the blog. He said he’s scared to tell me that he likes my recipes as once trials are finished and it appears on the blog he never gets it again! It made me laugh as people often say how lucky my family are to be surrounded by all of this yummy food but the reality is that we always eat late, the meal is often a bit cold if I’ve had to photograph it before we eat, and we hardly ever get to enjoy our favourite meals twice as I don’t have time to remake existing recipes when I am always working on something new. After a day at work, plus a few hours after working on a new recipe, the key to my sanity is quick and easy when it comes to our evening meal, unless it’s one of those convenient occasions when I have been working on an entree then I am all set. 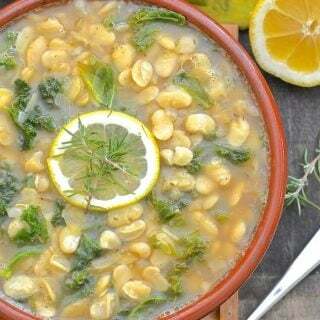 This Lemon Kale & White Bean Stew is a recipe that got thrown together after a particularly long day. I have since made it a couple more times to make sure it is just right and today I am sharing it with you. 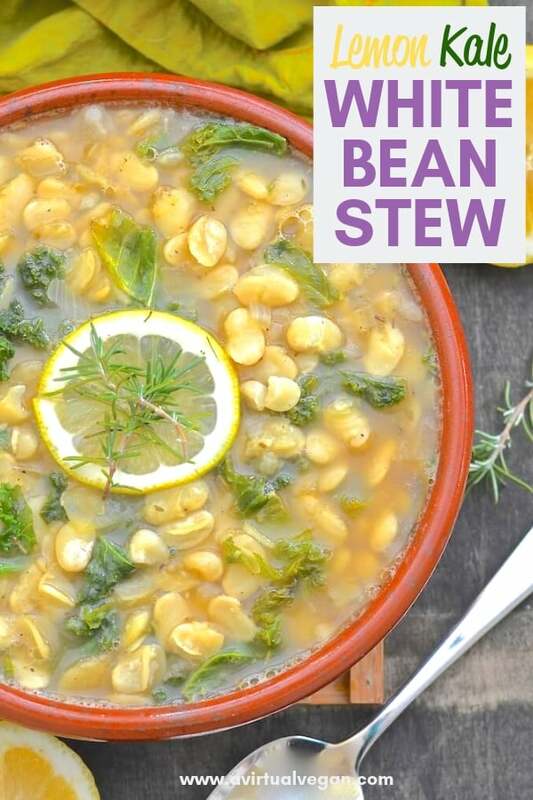 Made with simple everyday ingredients, this Lemon Kale & White Bean Stew is so quick and easy to make. Unlike most stews it is light, summery and full of lemony, garlicky flavour. It is also virtually fat-free, low in calories, high in protein and fibre and super healthy. It makes a wonderful lunch or dinner and is perfect served with some freshly baked crusty bread. It’s a great recipe to cook in bulk as it freezes and reheats very well. 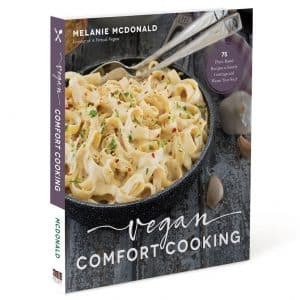 I haven’t tried it but I think it would probably cook well in a slow cooker too. I used Lima Beans in my recipe trials but Great Northern & Navy Beans would also work well. Beans are a great sources of fibre, protein, iron, magnesium, potassium and folate and have been shown to cut your risk of developing coronary heart disease by as much as 82%* Consuming beans also helps to regulate blood sugar, improve gut health and lower cholesterol. As well as being easy quick and easy to make this recipe is also very budget friendly especially if you buy dried beans rather than canned. Just be sure to soak them well and precook before using them in this recipe. 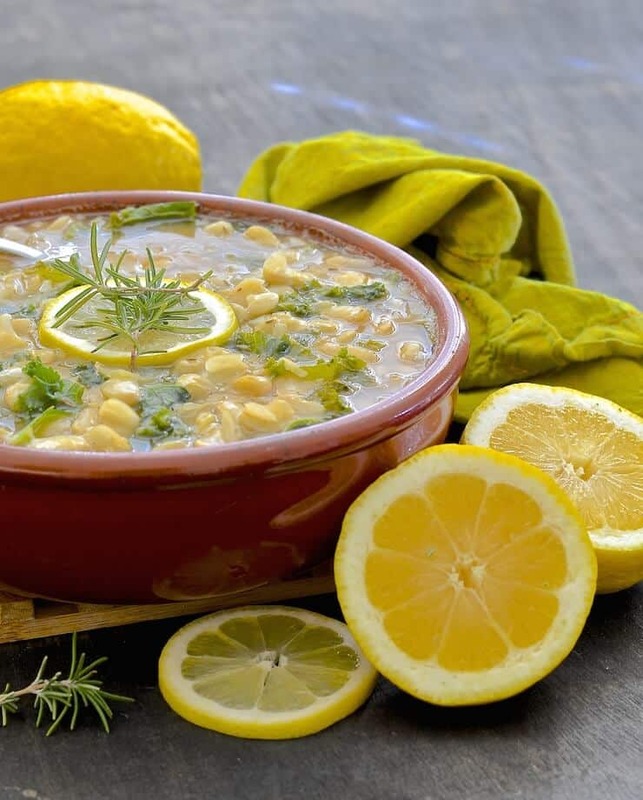 If you make this Lemon Kale & White Bean Stew please let me know what you think. Hit the yellow stars by the recipe to rate it and comment below. 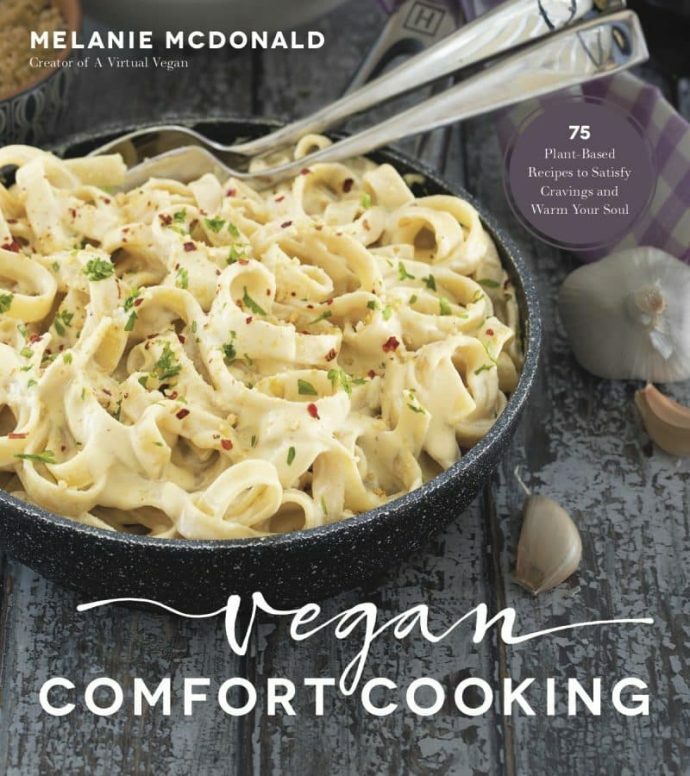 You can also tag me with #avirtualvegan on Instagram, post to my Facebook page or tweet @avirtualvegan. I love to hear from you! Saute the onion until translucent in a large pan. I used a dry pan but you can use oil or a bit of water if you prefer. Add the garlic and cook for one or two minutes longer. Add the rosemary and arrowroot or cornstarch and stir well until the onions are coated. Add the broth very slowly, stirring as you go to avoid lumps ( a few little ones won't hurt). Add the beans and stir over a medium heat until the broth starts to thicken (5 - 10 minutes). Cut the lemon in half and squeeze as much juice as you can into the pan. Throw in the lemon halves too. Cook until it is heated through and the kale has softened (about 10 minutes). Remove the lemon halves from the pan before serving and discard but be sure to squeeze them really well as you take them out to make the most of any remaining juice/flavour. Either use tongs or squeeze against the side of the pan with a spoon. *Bazzano LA, He J, Ogden LG, Loria CM, Whelton PK. Dietary fiber intake and reduced risk of coronary heart disease in US men and women: the National Health and Nutrition Examination Survey I Epidemiologic Follow-up Study. Arch Intern Med. 2003 Sep 8;163(16):1897-904. 2003. Very cool recipe that is. I love inspiring everyday food! 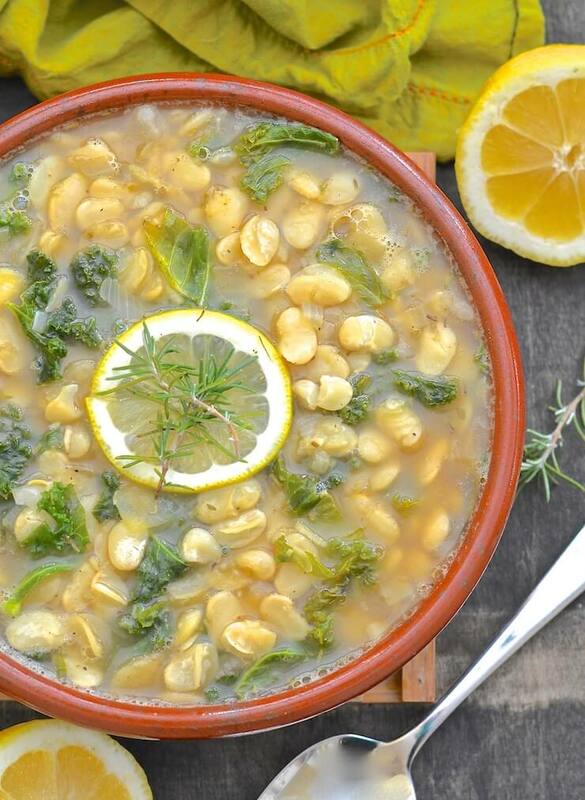 Lemon, kale, and white beans sounds like perfection in a bowl. I really need to make a big pot of this. I love every ingredient in it. Thank you Linda. You would love it! This looks beautiful!!! I can’t get over the colors and the way the light hits the soup! The flavor combo of beans and kale sounds delicious. The perfect summer soup! I love white beans and limas. It is so hot here, anything lemony sounds good. Yes lemon is so refreshing when it’s hot. This is so my kind of meal! I love soup first of all. And I love lemon everything! I love that you kept the beans whole and didn’t whizz the soup up. Gorgeous looking soup. Thank you so much. I often do whiz up some of the beans in recipes like this but this one looked so pretty I couldn’t bring myself to do it! Thank you. It’s so fresh and delicious. I am so sorry. It was late when I was typing it up! I have now added it to the recipe! How much kale goes in?